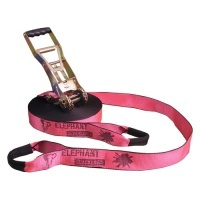 Elephant Slacklines are committed to making outstanding slackline equipment for trickliners, highliners, longliners, waterliners, rodeoliners and any other kind of slackliner out there. Looking for the longer rigging options then the Addict line is the one to go for. 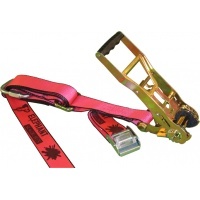 The longer version of the Rookie with big ratchet for extra tension. Awesome line for beginners to advanced slackers. Always scared when releasing your line and want to get it even tighter then the RLS-1 system takes the bang out of getting your line undone! Simple and easy to use system. 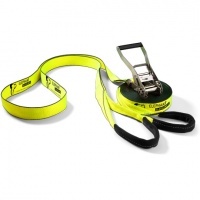 The Elephant Rookie slackline is our most popular 15m line for anyone who fancies a go at slacklining without breaking the bank but still wants great quality underfoot. 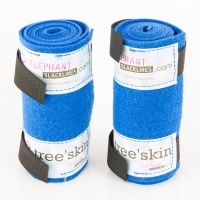 An essential for any slackliner, made from felt, the tree wear protects the trees and means you can ride you favorite spots longer and harder without damaging the trees.